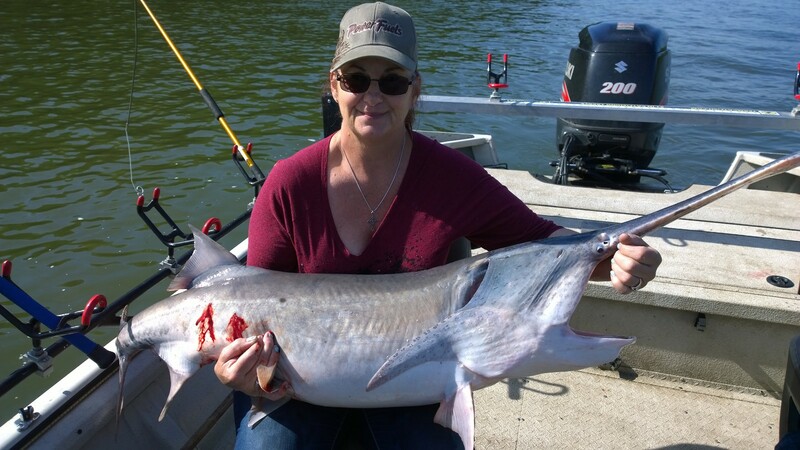 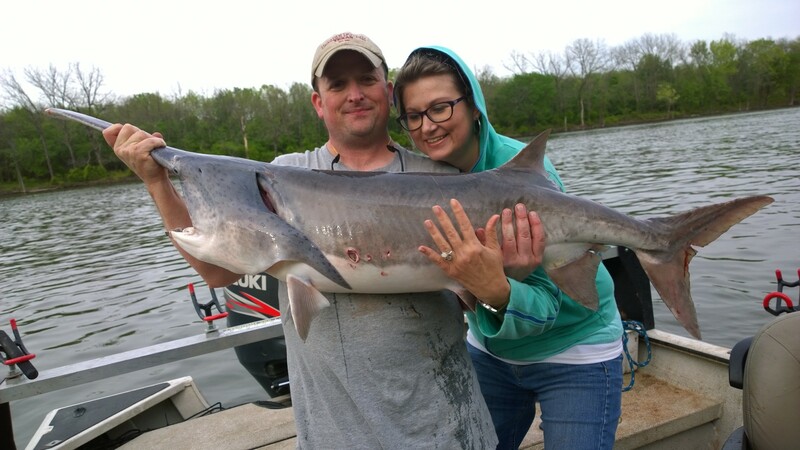 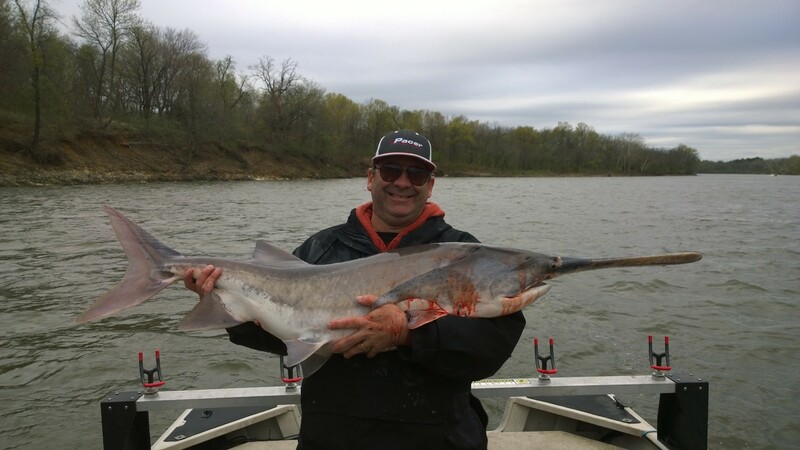 Kris Montgomery brought his wife up from Texas to do their first adventure in Paddlefish Spoonbill snagging at Fort Gibson Lake aka Choteau Bend in Oklahoma near Tulsa. 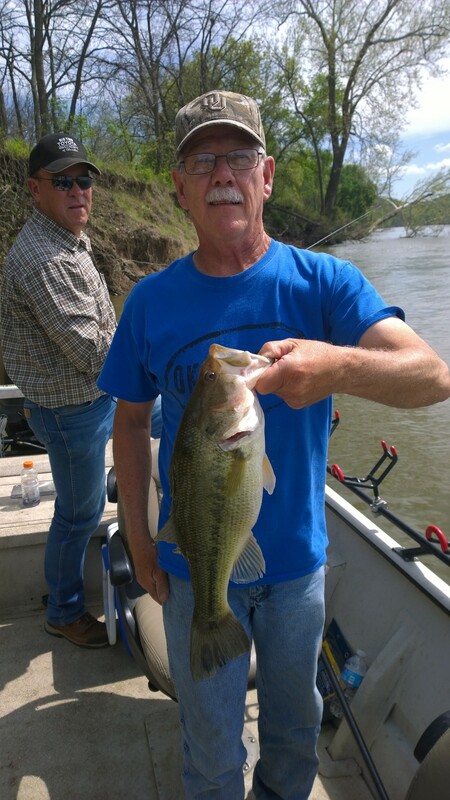 They hit some solid fish and had a blast! 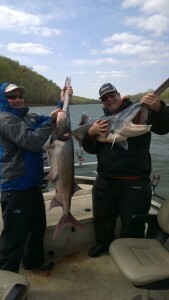 Here is an awesome display of teamwork! 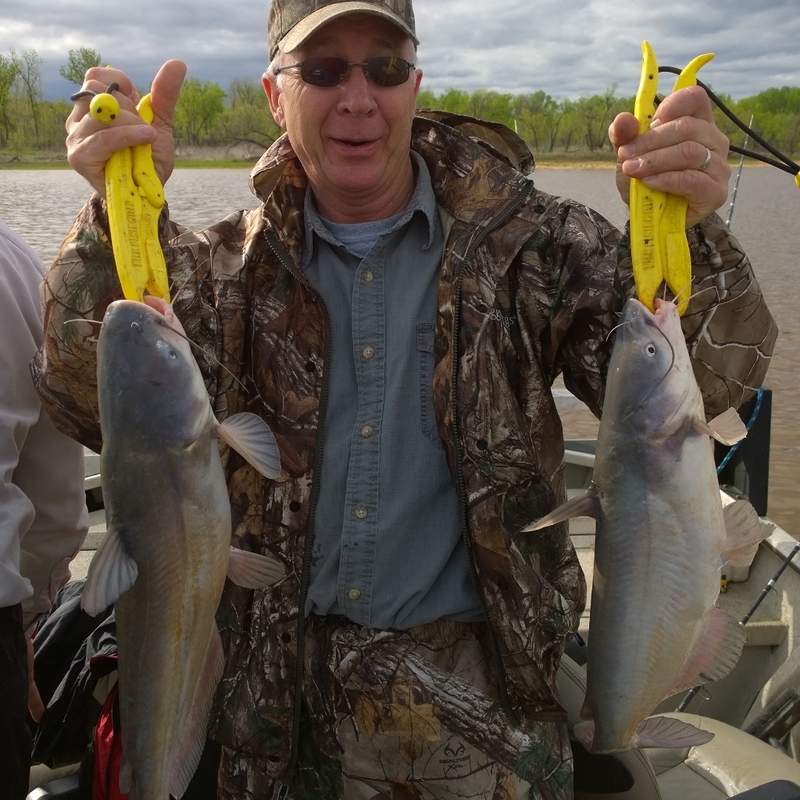 April 17th and 18th, 2015 – Spring blue catfish and hybrid/striper are on fire right now at Keystone Lake and Skiatook Lakes! 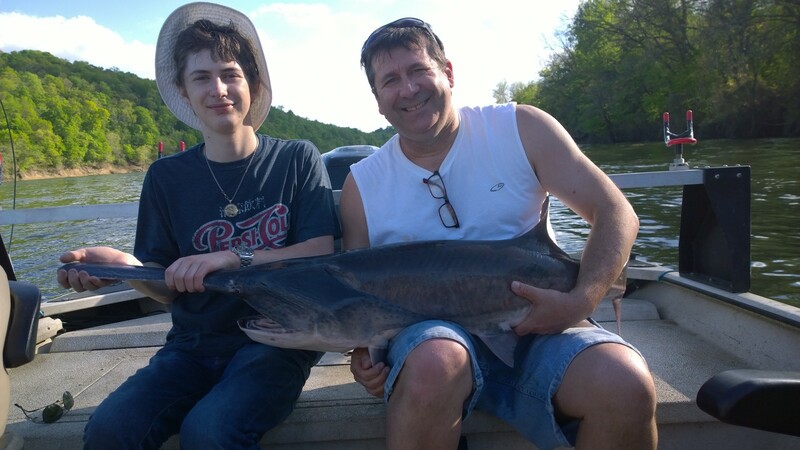 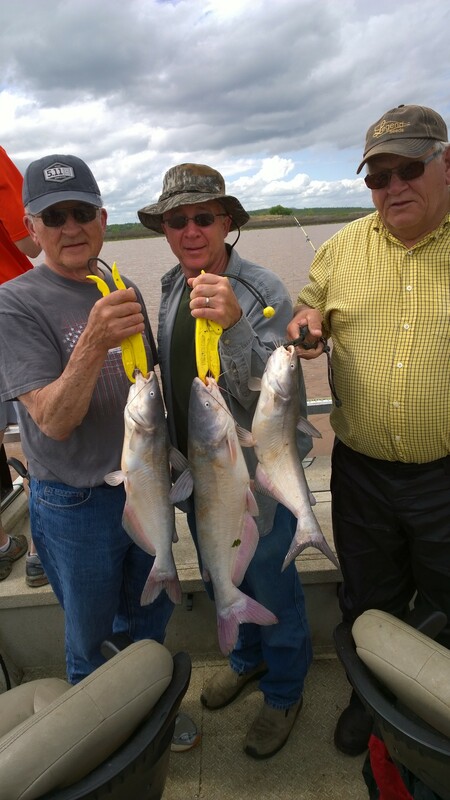 I had a group of guys that came down for a blue catfish vacation from Minnesota and Iowa. The shallow water blue catfish bite was unreal!!! 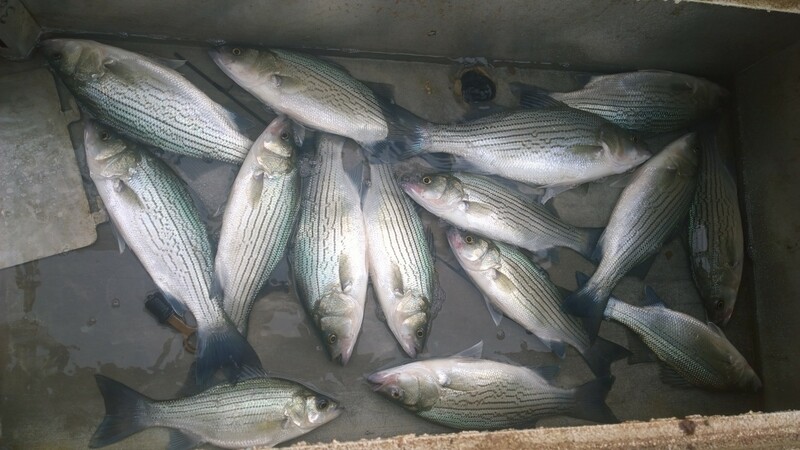 The first day we caught them in 1-3 ft of water on fresh cut shad. That night we got a really good rain and the lake came up about 2 feet overnight. 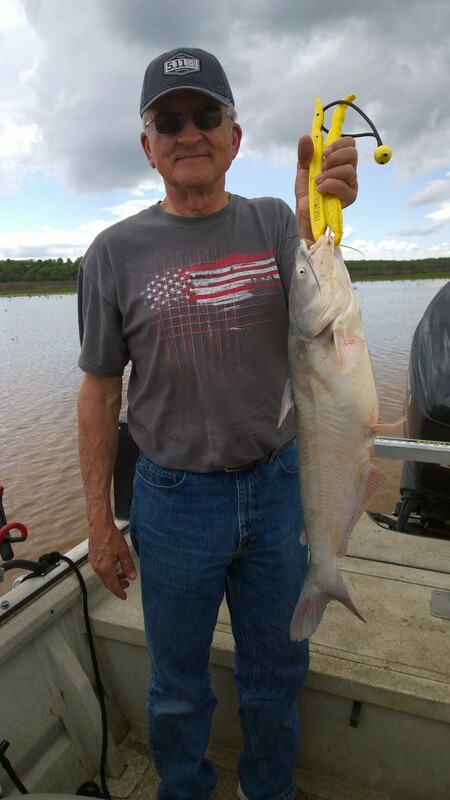 That mean game on in the flooded weeds and grass. 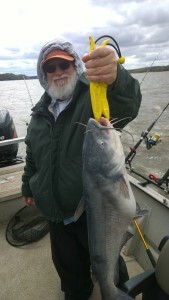 We’d through up in pockets and the rods would slam down with good sized blue catfish. 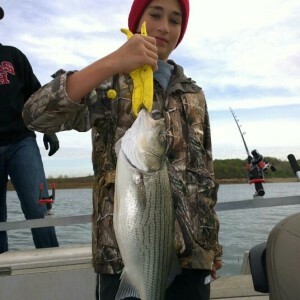 We threw in a bonus trip for hybrid striper just for the fun of it on Skiatook Lake in Oklahoma. 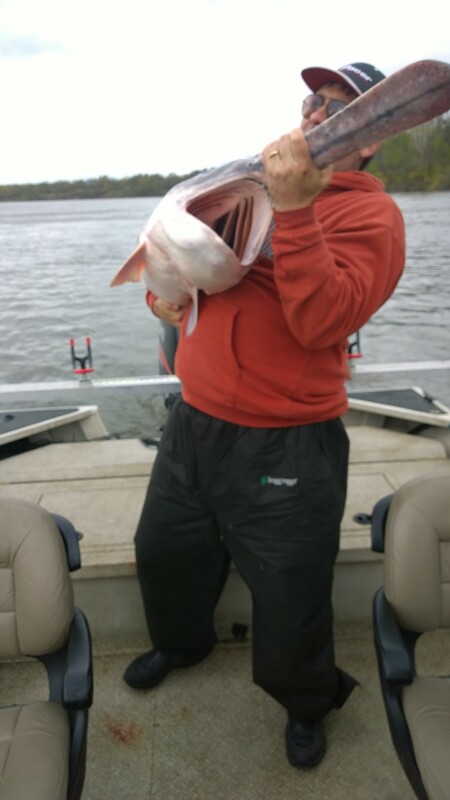 It only took a short time to fill their limits. 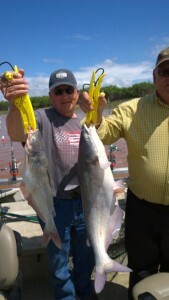 Lots of doubles and triples for both blue catfish at Keystone Lake and hybrid striper at Skiatook Lake! 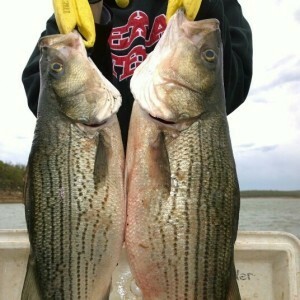 They decided to book 3 days next year at the same time. 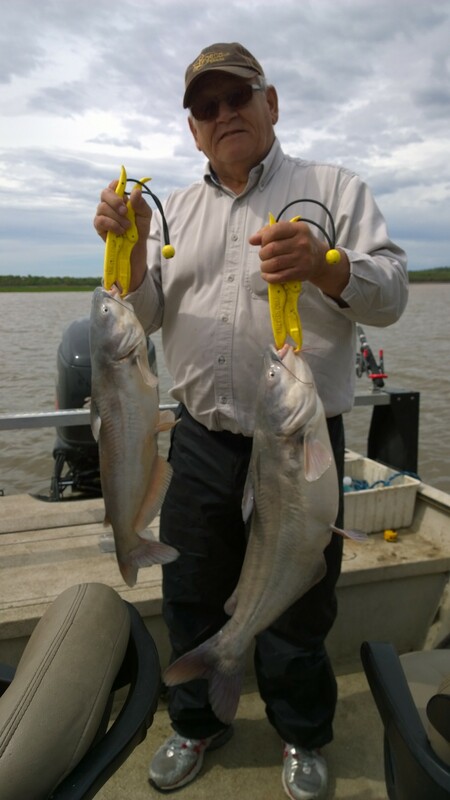 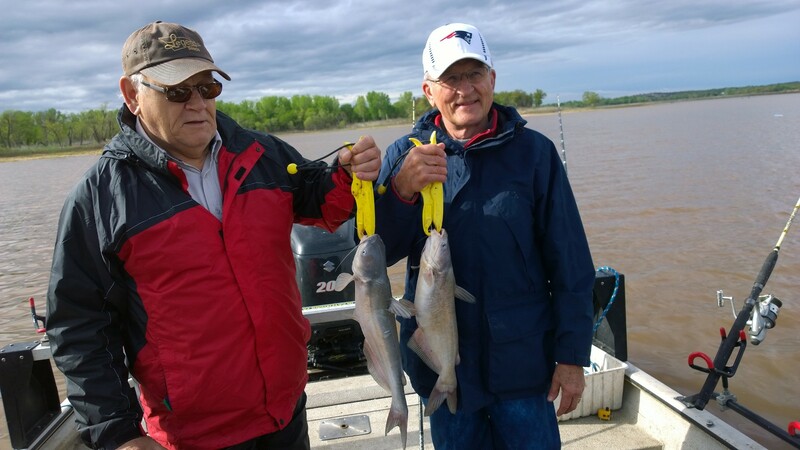 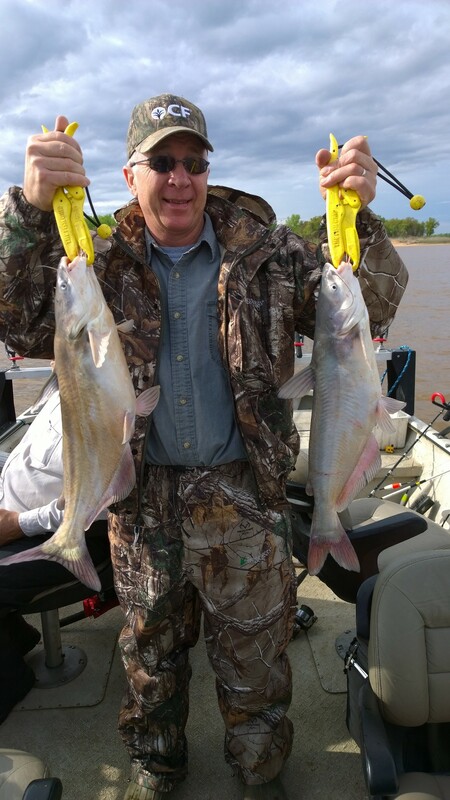 Author adminPosted on April 17, 2015 September 29, 2015 Leave a comment on April 17th and 18th, 2015 – Spring blue catfish and hybrid/striper are on fire right now at Keystone Lake and Skiatook Lakes! 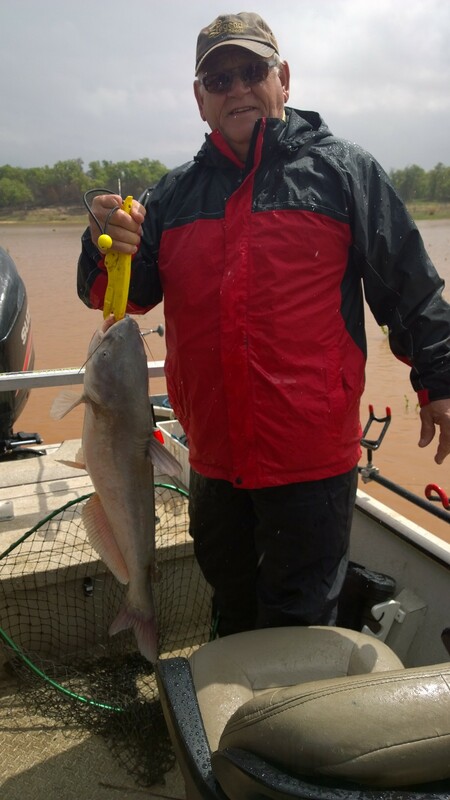 I had Tommy and his buddy from New Mexico this morning to do a Spoonbill Paddlefish trip and then we’d fish for White Bass aka Sand Bass later in the day on Fort Gibson Lake near Chouteau Bend in Oklahoma. 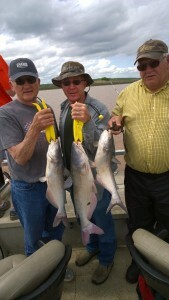 Another couple wanted to go fish for spoonbill and Tommy didn’t mind so we all loaded up and hit the river snagging. 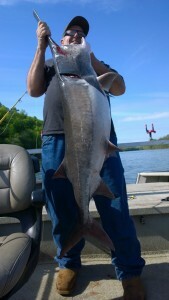 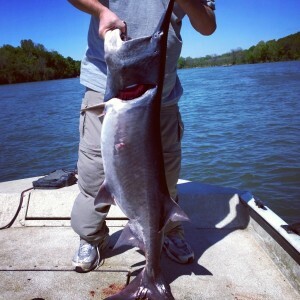 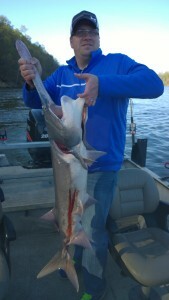 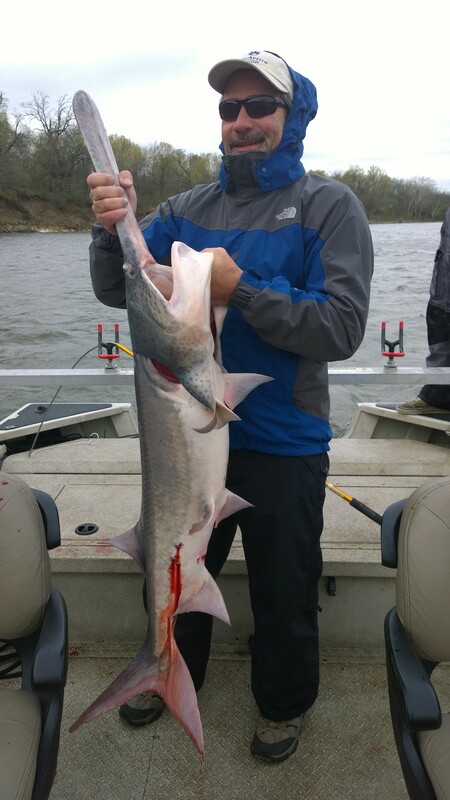 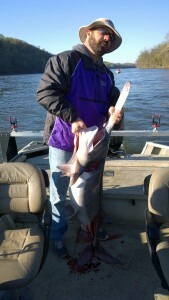 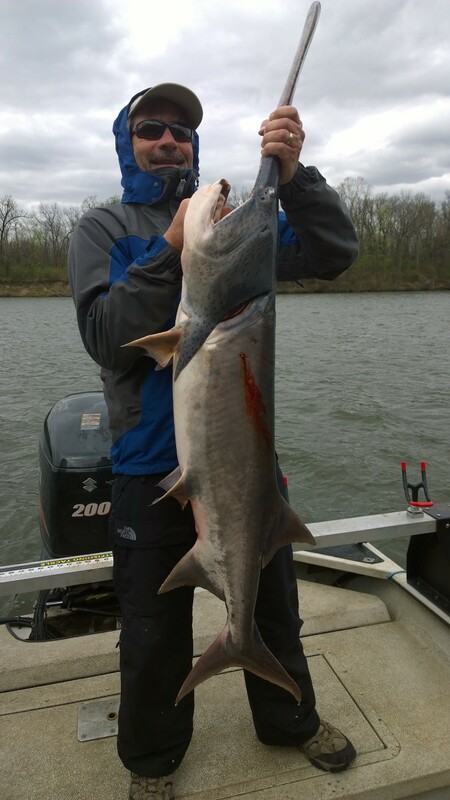 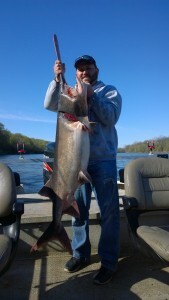 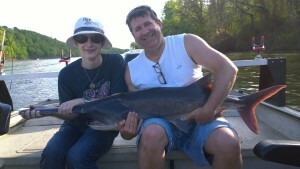 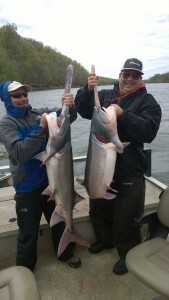 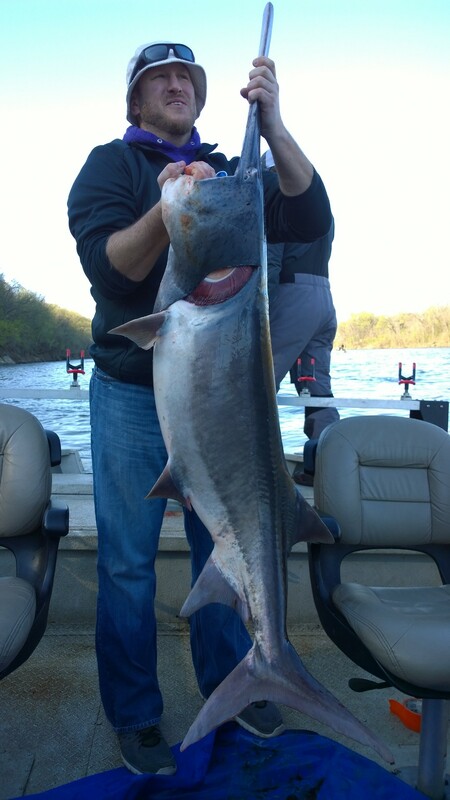 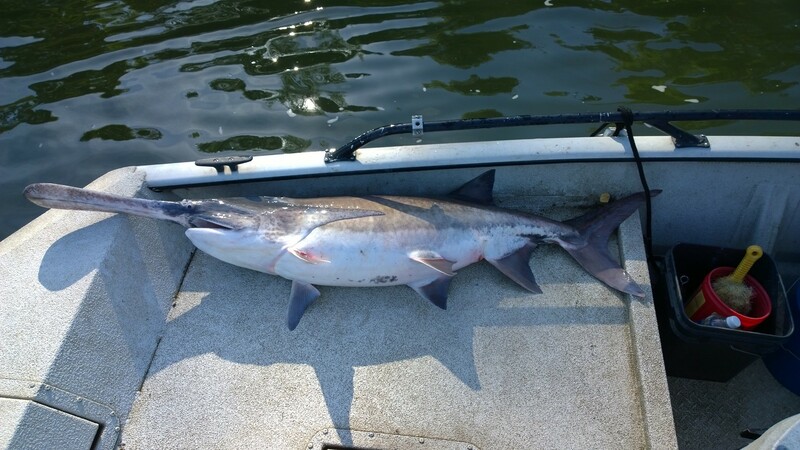 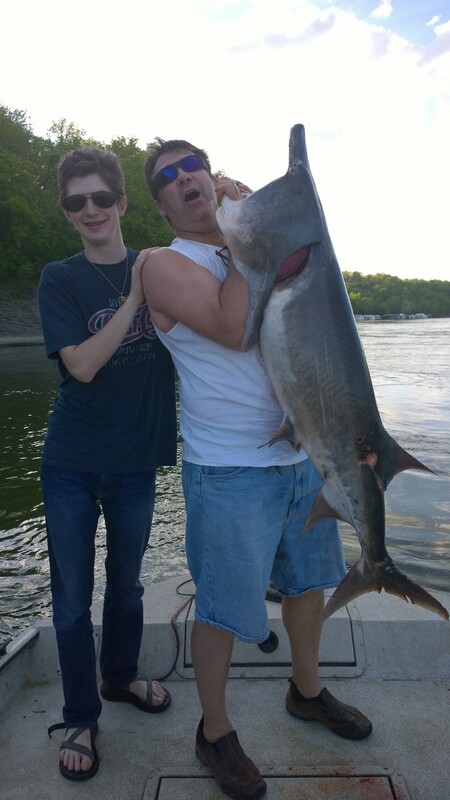 It didn’t take long and we had four spoonbill paddlefish in the boat ranging from 30-55 pounds. The couple that hopped in wanted to keep their fish and call it a day about an hour into the trip. We cleaned theirs and caught shad to fish for white bass. The white bass cooperated and we managed 35 in a couple of hours, not a fabulous bite but we had fun. 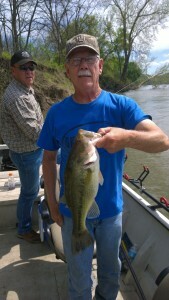 I dropped them off a little after noon and after a quick lunch my afternoon trip with Fred and his family showed up. Fred has fished with me several times and loves hitting spoonbill paddlefish. 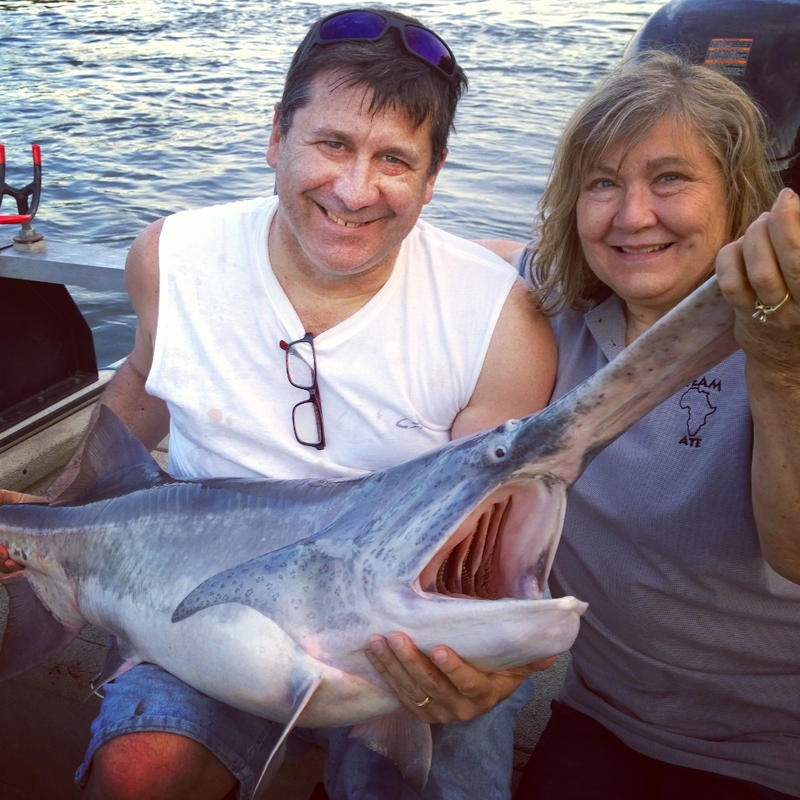 He brought his mother and son along on this adventure. They slowed the generation and the fish were really scattered, but we scratched out 8 spoonbill ranging from 32-58 pounds. 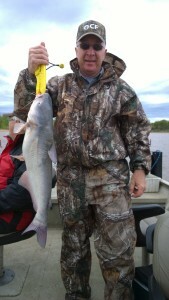 The blue catfish were slamming rods this afternoon fishing shallow windblown flats at Grand Lake in Oklahoma!!! 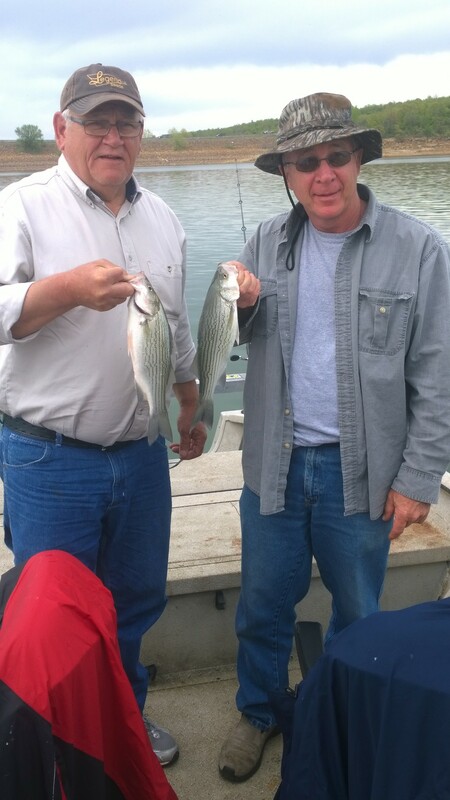 Great group today with Larry Beckett and his brother. 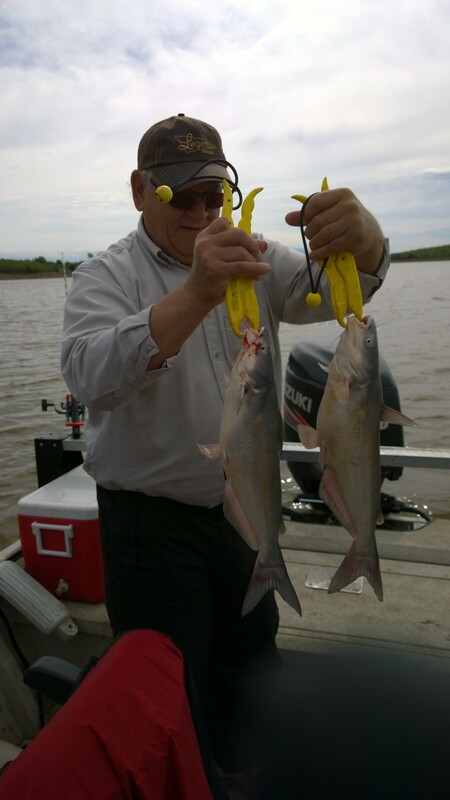 Most of the blue catfish were caught in shallow water, less than 3ft, using fresh cut Gizzard Shad. When the wind started blowing in on a point we moved over there and put a smack down on the active feeding blue catfish. They weren’t big fish, yet the one’s that Larry likes for his fish taco’s. 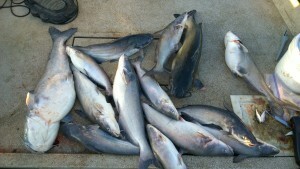 They’ll have quite a few meals with today’s catch! 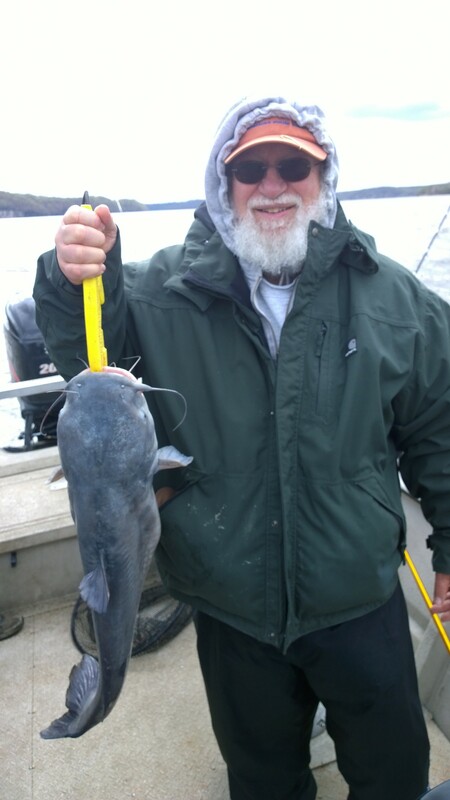 Great trip with the Zumwalt family this morning on Skiatook Lake in Oklahoma. The Hybrid Stripers were peeling the drags! 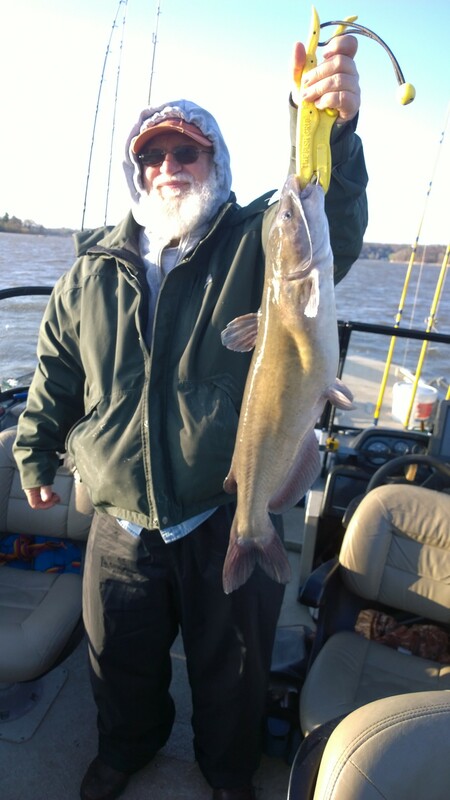 It’s just going to get better as the water warms up. Today,I had a large group on Fort Gibson Lake in Oklahoma snagging Spoonbill Paddlefish. 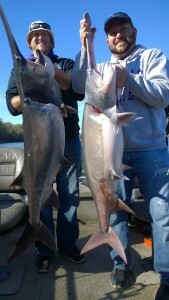 The fish were a little scattered, however, my guys were great and we hit 13 solid fish from 35-55 pounds. 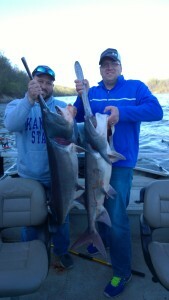 These guys were a blast! 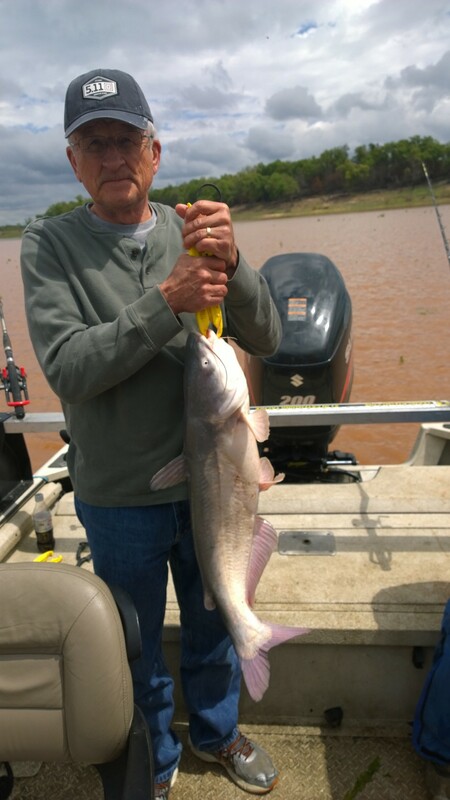 We left Fort Gibson and hit the road to meet Larry and Iris Beckett for a late afternoon/evening blue catfish trip on Grand Lake in Oklahoma. 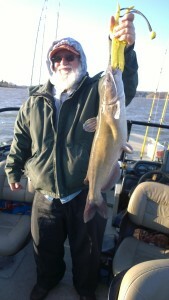 The wind was tough and the cold front moved the fish a little. 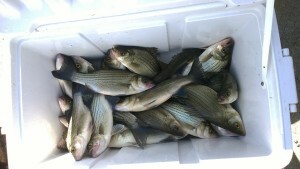 We figured it out and filled the box before the sun disappeared for the day. Had repeat guest Fred Emmer and friends fishing for spoonbill paddlefish at Chouteau Bend on Fort Gibson Lake in Oklahoma. 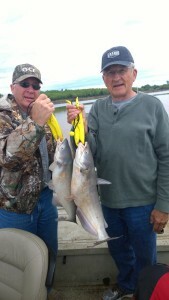 Man, those guys put a workout on with all the big fish they snagged in the current!